Tonight following FrogPrincesse's advice - I made the Jungle Bird with Cruzan Blackstrap. It was a drink I was not impressed with when I tried it before - seemed unbalanced. This was a much more enjoyable tipple. 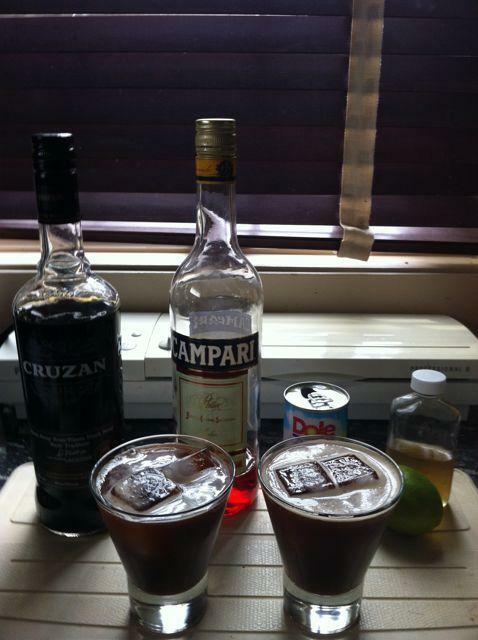 The Blackstrap is a very interesting rum - although it doesn't really taste like rum! Looking for some other things to try it with. Leaning towards the mixture of Blackstrap with falernum and lime. Tonight I proved my right to be called a Cocktail Novice - I made my first gin and tonic. And trust me, it will be appearing often in my life during these hot, hazy and humid Toronto days. Lovely refreshing drink. I do like a gin and tonic. Fortunately, I like them even when it's not hot because we had snow most of the morning after 2 days of heavy rain. The snow didn't stick around but there's a frost warning for tonight. Gotta cover the tomatoes and herbs. Ramazzotti JimJam's for us again - yum. Mojitos for us tonight. The neighbours mint is in excellent shape - and my mojito mint arrived from Richter's yesterday - planted today - I'll bet it's taking over the garden in a few weeks. I'll be interested to taste the difference. Drinking alone tonight so decided on Zim Zala Bim. Had to use blanco tequila as that is what is in the bar. 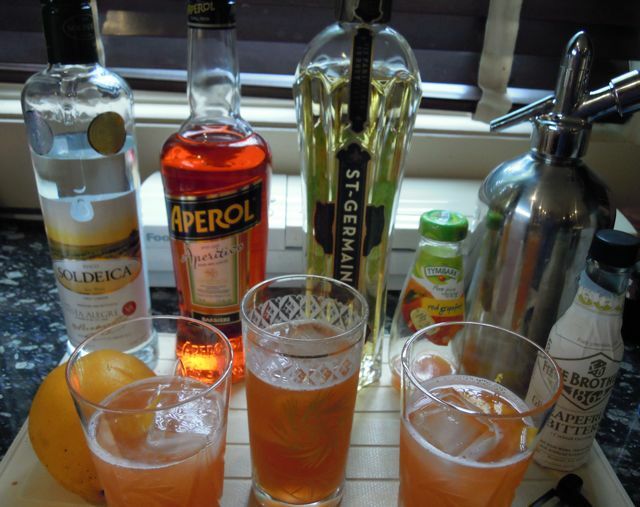 A very pleasant drink that I would certainly make again. 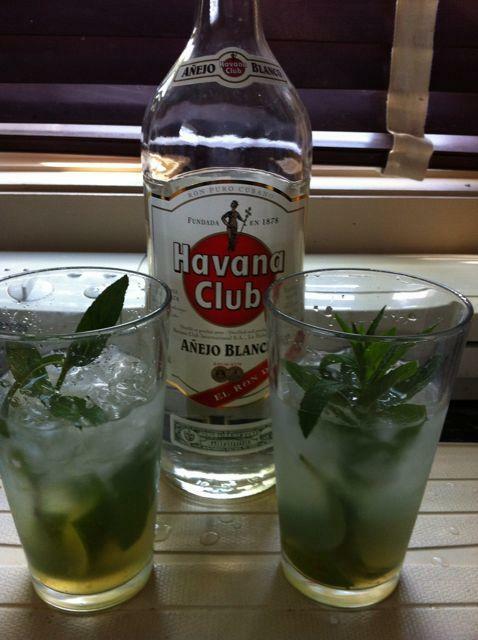 Kerry - when you say say "mojito mint" is it the elusive true Cuban hierba buena? Katie - it's this one. They also sell yerba buena but I didn't get that one. Anna discovered this one - "The Maximillian Affair". Most excellent! So I made this tonight, shook it up in the cocktail shaker, but even after shaking for a while, this had a very small yield -- certainly not enough to fill a martini glass. I guess that's not surprising since an ounce is just two tablespoons. I guess I'm wondering -- how much volume am I supposed to be gaining from the melting ice when shaking? Were the amounts just too low in the recipe? Did I not shake long enough? I generally work on the principle that you gain an additional 1/3 volume from melted ice, so if you start with 3 oz of ingredients, you'll end up with a 4 oz drink. The recipe you outline is, indeed, extremely small. Matt's right. Standard dilution is 25% -- which is to say, you add a third to the original three thirds to get 4/3s. Also, many "martini glasses" are more than a 4.5 oz size, which many bars use. 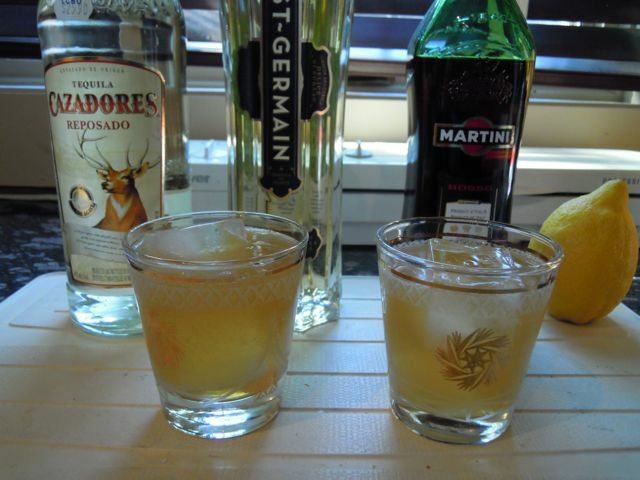 Libbey, for example, has a great coupe that's 4.5 oz -- and a bird feeder martini glass clocking in at 10 oz. Thanks Matthew and Chris -- that's a big help! Apologies to kittens everywhere - a Lewis and Martin. 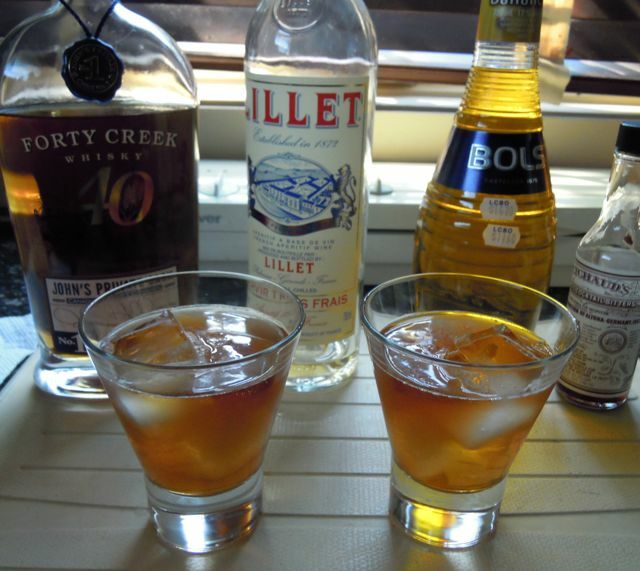 Used Canadian Whiskey instead of bourbon - hubby not a big fan of bourbon yet. to know how it was! Interesting - I sure wish I had some MB creme de banana to compare though. Last night Rome with a View. As expected a nice, refreshing drink for a warm evening. Thank you, FrogPrincesse. You are very welcome, Anna! Tonight the Blood Orange. Loved this one and I know my usual drinking companions will love it too. 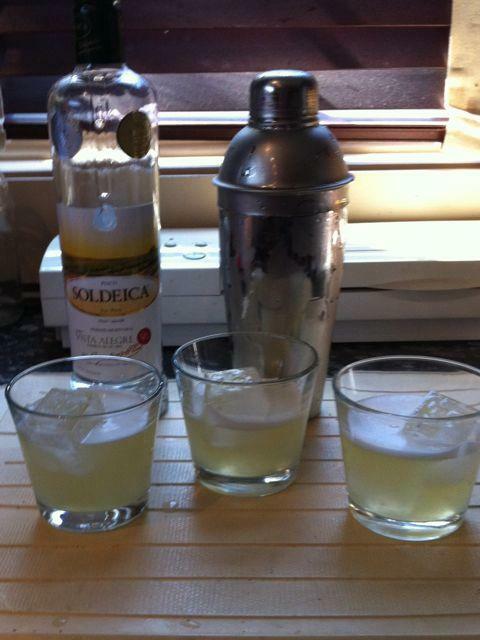 Kerry, next time you make a Pisco Sour strain it into a cocktail or coupe glass. Then put 5 drops of Angostura or whiskey barrel aged bitters on the foam (I use an eyedropper for this task) and drag a knife tip or toothpick through it to make the pretty hearts design on top. Not only looks visually appealling, but the aromatics of the bitters as you lift the glass past your nose are quite mouth watering. Ah yes - I did forget the angostura this time - the toothpick trick sounds great!